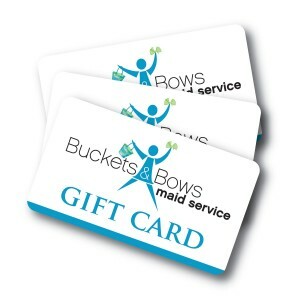 In honor of the brave men and women who run into burning buildings to save lives, Buckets & Bows Maid Service is offering our last TWO openings Monday, Tuesday, and Wednesday to any fireman’s family. The first six people to call can have service one day this week at no charge (3 hour cleaning, $100 value). Plus, the first TWO firefighters to HIT REPLY to this email and type in “FIREFIGHTER” will receive a gift certificate for dinner for two on us ($50 to Walt Garrison’s Steak & Seafood Restaurant in Flower Mound)! This is our “thank you” to firefighter’s everywhere. If you miss out on one of the six free cleanings we are giving away, you can purchase a half price gift card for any firefighter (limit one per family please) for just $50. We are matching the difference and will mail a $100 gift card to him or her on your behalf. We make no profit from this offer.